Accommodations in the workplace range from off-the-shelf solutions to those that have to be customized to an individual's needs. This webcast is an overview of several successful workplace accommodations for vocational rehabilitation clients in Georgia. Resources for these solutions will also be provided. Raj Pagadala is the Director of Assistive Technology Services for the Georgia Vocational Rehabilitation Agency where he manages a team of rehabilitation engineers, occupational therapists, rehabilitation technologists and rehabilitation technicians. He has over 22 years of experience in the field. 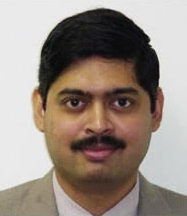 Raj also serves on the boards of the National Mobility Equipment Dealers Association (NMEDA) and the Georgia Chapter of National Rehabilitation Association (NRA). He is the RESNA Special Interests Committee Chair and has also been the Chair of the Accommodations Special Interests Group. Raj was the recipient of the RESNA Distinguished Service Award in 2014. His current interests include ergonomics, vehicle modifications, worksite accommodations and assistive technology service delivery policy.